History and where are we today? 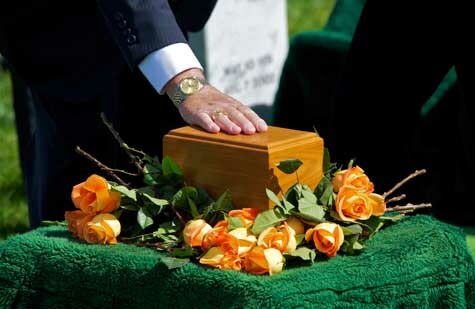 The origin of the funeral industry here in America dates back to early 1800’s. By the mid 1830’s, planned sprawling cemeteries inspired by innovative burial ground design out of Europe began cropping up in the rural outskirts of large cities. After the Civil War though, concern grew over land conservation and toxic waste coming out of these cemeteries. As a result, the turn of the century saw a cropping up of a large number of crematories and mausoleums within cemeteries. The beginning of the 20th century coincided with the process of embalming as a standard practice in the United States for preservation of the bodies. This standardized practice led to the “legitimizing” of the funeral industry. Funeral homes became respected businesses of the community, conducting rightful business transactions. The past 20 years has seen a seismic shift in the funeral industry. As our lifestyles have changed so have our beliefs regarding the disposition of the bodies of our loved ones. According to the Cremation Society of America, in 1999 24.8% of families chose cremation, and by 2014 the rate was up to 46.7%. The projection by the National Funeral Directors Alliance is that by the year 2030 71% of bodies will be disposed of by cremation. With the religious constraints gone cremation is a viable option for many where it wasn’t in the past. Another reason for the shifting trend away from burial, is cremation allows for much more personalization in memorialization. With a swing away from the burial rituals that are rooted deep in tradition, loved ones are placing more value on the funeral as part of the grieving process. Individualization allows families an opportunity to highlight their deceased loved one’s passions, interests and life accomplishments- a meaningful celebration of their life. Furthermore, gone are the days where families and extended family all stayed together in the same town. As families members are spread all over the country and even the world, the family burial plot is no longer practical nor desired. Cremation allows our more mobile culture to take their loved one’s cremains with them wherever in the world they are. Lastly but perhaps the largest looming factor in cremation versus burial hinges upon our eco-conscious culture’s product and service purchasing habits. The death industry is affected by this as much as every other industry. The baby boomers that are currently the consumers of these products and services are wanting a minimalist approach to the funeral that they are preplanning for themselves or planning currently for their loved one. The green approach calls for the cloaking of the body in a cloth shroud and placing the body in a casket made out of a natural product such as wicker, bamboo or recycled paper, and putting it into the earth to degrade naturally. There is no toxic embalming fluid, non-biodegradable wood, concrete or metal. Take a look at these gorgeous glass pendants… These works of art, measuring approximately 1.25 inches by 1 inch, are a unique melding of colored glass, metal and cremains. The pictures do not do them justice. The depth of the colors are truly striking. The artist, Henry Duquette, has been blowing glass for 10 years and is in the process of patenting his process of incorporating glass and cremains while eliminating the natural formation of bubbles, to create one-of-a–kind pendants and keepsakes. Henry uses Pyrex glass, which unlike other “soft” glass, is hard. The result is a very resilient piece that does not shatter. (Although he does guarantee his pieces for the lifetime of the recipient). Very ethically responsible, Duquette employs the same protocol used by crematories to isolate cremains in order to prevent the co-mingling of ashes. This artist’s beautiful spirit is evidenced by not only his works of art but also his generosity. He offers free pendants to immediate family members who lost a loved one post 911 that was a service man or woman acting in the line of duty. His program extends to all service members-EMT’s, fire-fighters, police officers, military and canines. His only request is that in return for this pendant he receive a newspaper clipping or obituary and a photo of the deceased, as he keeps his own memorial photo book of these fallen heroes. The finishing touch is your loved one’s name on the back of the keepsake in 22K gold. As opposed to an urn that will likely, in years to come, be put away in a closet, these keepsakes can be passed down from generation to generation- a beautiful memorial keeping alive the memories of this lost life. No two people have the same fingerprint, however there are patterns that all fingerprints possess. Some people claim that an analysis of these patterns can reveal a lot about a person. Fingerprints are formed before we are born and their shape are based partly on genetics and partly on random patterning. These prints are made-up of an arrangement of ridges called friction ridges. It is these ridges that form fingerprint pattern called whorls, loops and arches. Whorls form spiral patterns like tiny whirlpools. Loops are prints that curve back into themselves forming a loop shape. The arched pattern is a wave-like appearance forming plains and arches. Palmistry is the study of fingerprints to determine personality traits. It has been practiced for thousands of years and believed to have originated in India (https://en.wikipedia.org/wiki/Palmistry). These palm readers often use a combination of the lines of a palm along with fingerprints to develop a complete personality profile. A hand with whorls on the fingertips is thought to belong to a strong willed perfectionist. Whorls on one thumb is believed to indicate a high level of intellect, whereas whorls on both thumbs is considered to be symbolic of a controlling personality. A “whorly” person tends to be independent and prefers to be the dominant one in any relationship. For this reason these people make strong leaders. The belief is that the arch pattern is found on the fingertips of highly analytical and practical people. The more numerous the arches the more cautious the person tends to be. Because of their reliability and pragmatism these people are a good fit in a career where there is a high level of methodology. The looped pattern is seen in folks of average intelligence with pleasant and easy-going demeanors. Because of their adaptability possessors of this pattern make excellent partners and employees. A subset of the loop pattern is the peacock eye. This looks like a loop with a whirl in the center. This is typically only seen on the ring or pinkie finger and believers in palmistry claim that the bearer of this pattern possess a great deal of luck. Regardless of the truth to this, fingerprint jewelry can serve as a touchstone. Being able to feel those arches, whorls and loops that were unique to only your loved one can bring comfort to a grieving loved one. When we think of the Day of The Dead, we think of sugar skulls and the stories that we hear about the celebrations of this festival day from Central and South America. However, The holiday isn’t just a Spanish based holiday. It is in fact a festival day that is part of the Catholic holidays and is celebrated in certain places in Europe as well. Sicily celebrates this holiday and its similarities strike a similar reflection of its celebrants across the pond. In fact, until a few years ago, the festival of the dead was the only Sicilian celebration where gifts were exchanged. Today, the days leading up to November 2nd are filled with hundreds of Fiere dei Morti or Fairs of the Dead. The fairs are filled with all sorts of sweets like the Frutta di Martorana which is almond paste made into the shape of different fruits and is usually accompanied by pupatelli (biscuits filled with toasted almonds) and taralli, which is a ring cake covered in icing. As a gift giving holiday as well as a celebration, there are toys of all shapes and sizes which parents can buy for the children’s Cannistru, which is a basket filled with gifts, dried fruits, and other local delicacies. These baskets are prepared the night before so that the parents can surprise their children in the morning. In the mean time, children hide the graters around the house because the dead have the habit of visiting naughty children and grating their feet while they sleep! When the children wake up on November 2nd, it’s a day filled with excitement. The children begin a treasure hunt around the house looking for the presents their parents got for them for the Cannistru. At breakfast, a muffoleta is traditionally served. Unlike the one of our creole friends down in Louisiana, this one is usually served with olive oil, salt, pepper, oregano, anchovies, and a few slices of primosale cheese. After everyone has been fed, and the presents have been found, the whole family will go to the cemetery, carrying flowers. Here, they will light candles, play among the graves to show appreciation for the toys received, and then enjoy a good feast. In some places, people will go to the family crypt to wash the deceased and comb their hair. Even today, there are many who still visit the crypt of the Capuchins in Palermo on this day. Sicilians even create something reminiscent to the sugar skull and sugar skeleton figures. The Pupi ri zuccaru are sugar puppets. Traditionally, these sugar puppets were made in the forms of knights and paladins on horseback. Today, they often are done in the likeness of soccer players and dancers, however, many still make the traditional sugar puppets, showing how tradition truly runs deep among the Sicilians. No one sheds tears on this day, for although throughout Italy and the rest of the world the dead are remembered and honored. On November 2nd in Italy, the dead are celebrated! For many of us, death is an inescapable fear that sits at the back of the mind, always present. Now, it might not be on your mind, but it lets itself be known now and again, it’s there when you stop yourself from doing something, and it’s there when those we love pass or are close to passing. However, as we near the end of our journey, something amazing happens. That fear that is part of our everyday life simply goes away. For many of us, the phenomenon of end of life dreams or visions will occur. Experts have said that about 50-60% of people who are dying experience these dreams or visions that help comfort them and remove the fear of dying. So what exactly are these dreams and what does science have to say about them? What are End of Life Dreams? Before we can dive into what scientists and doctors have to say about these dreams, let’s dissect what they actually are. People who are near the end have reported experiencing remarkably vivid, yet insightful visions and dreams that bring the person great personal comfort to them in point of time, that for all accounts and purposes, should be terrifying. However, these dreams/visions aren’t considered near death experiences due to the fact that they don’t “come back to life.” Instead, they’ve completed the natural cycle of life and pass into what scientists and physicians call the clinical, or biological state of death, where the nervous and respiratory systems begin to shut down. Additionally, hospice patients that have been observed for studies into end of life dreaming have reported several different styles of dreams, in intensity and how they were experienced. However, many have very similar themes and usually involve: The comforting presence of a previously deceased loved one, or preparing to leave on a journey with a living or dead relative, engaging with or simply watching deceased relatives and friends. Realizing that they hadn’t simply disappeared, and seemed happy and content. Research done by different organizations such as The American Journal of Hospice and Palliative Care as well as Hospice Buffalo and Daemen College have come across some very interesting findings. According to the study, patients in the study found these dreams gave them great personal comfort and peace, helping them dissuade their fear of dying and help them with accepting that the end is near. The study also suggested that these dreams should not be dismissed but recognize them as a positive part of the dying process. The study by Hospice Buffalo and Daemen College, was one of the first to ask for descriptions and document the timing of the dreams. The patients reported that the dreams were immensely more vivid and memorable than normal dreaming during REM sleep, and were sometimes so intense that they continued into waking and would be active in more than just visions. One patient described a dream that he was a boy again and could smell his mother’s perfume, and hear her voice. Additionally, the patient described a dream about his father giving him valuable life lessons and feeling his approval of the patient. Overall, patients who experience these end of life dreams lose their fear of death and gain insights into their own mortality, and help accept that they are passing. The experience of dying is transformed from a scary and puzzling event, into one wrapped in comfort and complete acceptance. For as long as cremation has existed, it has been a hot button issue among people and beliefs. While some cultures and religions support cremation, some find it macabre, and even more find it downright disgusting and say it is an improper way to dispose of a body. Whether you support cremation or not, it stands as one of the longest running processes, and memorial traditions, in the history of our species. Cremation has been around for a very, very long time. Scholars today generally agree that cremation began during the early Stone Age ~3000 B.C. in Europe and The Near East. Near the end of the Stone Age, cremation practices began to spread to northern Europe, as can be seen from historical finds of decorative pottery in the Slavic regions of Russia. With the onset of the Bronze Age, cremation began to move into the British Isles and Ireland and into what is now known as Spain and Portugal. Cemeteries for cremation develop in Hungary and northern Italy and also spread to northern Europe. By the time of the Greeks, cremation had become an integral and elaborate part of the Grecian burial customs. It even became the dominant method of disposition by the time of Homer in 800 B.C. and was actually encouraged for health reasons and was an expedient burial method for soldiers slain in war. Cremation was seen by many classic cultures as a very hygienic disposal of human remains, especially after plagues ravaged many of the early cities. Following the Grecian trend, historians note that the early Romans began using cremation as part of their funeral rites around 600 B.C. and became so prevalent that the Roman Senate had to put a ban against the cremation of bodies within the city during this time. By the time of the Roman Empire, cremation became widely practiced, and cremains were placed in elaborate urns and often stored in niches in columbarium style buildings. Even though the practice was popular and part of Roman society, cremation was rare with the early Christians who considered it pagan along with Jewish culture where traditional burial is preferred. By 400 A.D., as a result of the Christianization of the Roman Empire, earth burial had completely replaced cremation except for rare instances such as plague and war, and for the next 1,500 years this would be the accepted mode of burial throughout Europe. Modern cremation, as we know it today, began in the 19th century. The modern cremation movement started almost simultaneously on both sides of the Atlantic after Professor Brunetti of Italy perfected and displayed his cremation chamber model at the Vienna Exposition in 1873. At the same time, Queen Victoria’s surgeon, Sir Henry Thompson, fostered the use of cremation in the British Isles. Hazardous health conditions prompted Sir Henry and his colleagues to promote cremation and found the Cremation Society of England in 1874. By 1878, England and Germany were home to the first European crematories in Europe. In North America, cremation was being experimented with in the early 1800s. It began to become more common practice in 1876, when Dr. Julius LeMoyne built the first crematory in Washington, Pennsylvania. Today, the popularity of cremation is continuing to rise,not only has it become an acceptable form of disposition, but also less expensive than traditional ground burials, and the popularity of cremation is only matched by the constantly evolving styles of cremains vessels. In fact, there are so many urn types, that they are often classified by the style and functionality, rather than materials. Many religions that were previously against cremation have accepted it as a tradition. Cremation can offer the same options for families that traditional burials do, such as viewing of a body or even burial in a ground plot in a cemetery. Whatever the reason, cremation gives us an alternative for the farewell of our dearly departed in a dignified and time honored way. A while back, we posted about some alternative ways to memorialize a loved one. On that list included using some biodegradable urns that also act as planters for flowers or trees. With cremation rising in popularity, people are looking for ways to honor their loved one’s memory in a way that would be fitting to them. While some still consider using the traditional urn, others have begun to look for greener ways to create a living memorial for those that have passed. Here are some greener options for those who are looking to create a lasting memorial outside of the traditional methods. Bio urns are a style of biodegradable urns that also contain seeds to different breeds of trees, or can be customized to include a flower or plant that your loved one enjoyed. These urns usually come as simple containers that look like outdoor seed starters. This style of “green” urns are a great way to honor someone who loved the outdoors with a beautiful plant in their memory. For example, the Back to Nature Bio Urn, is one such bio urn that also acts as a planter. While it comes with a pine tree seed, they recommend that you go to your local nursery to find something that is more suited to honoring the person you wish to memorialize along with making sure that it has a chance to thrive in the climate you’re located in. Additionally, there is the option of forget-me-not paper urns. These urns are small, shaped paper urns that contain perennial seeds within them, usually forget-me-nots. You can usually include a small amount of the ashes in with these paper urns, and hand them out at the funeral service to friends and family so that they can plant them and honor the person’s memory with a beautiful flower. Additionally, it is a cost-sensitive alternative to the traditional urn, or to other styles of biodegradable or scattering urns. Finally, if you are planning on scattering the ashes at sea, there are urns that you can use that will dissolve into the water and not create a biological issue. This style of biodegradable urns are made from sea salt, so they are completely natural and leave no footprint or problems behind. Sea salt urns are a great option to consider when considering a scattering funeral service for the ashes. Instead of pouring out the ashes and possibly having them blown back onto the boat or onto the mourners, this keeps the cremains contained while still providing an honorable and heartfelt memorial. Most memorials are tributes to the ones we’ve lost. We each honor our loved ones in different ways, each memorial as unique as the individual it pays tribute to. However, that hasn’t stopped some people from being memorialized in very eccentric and different ways. Here are some of the weirdest ways that people have been memorialized. The Great Train Robbery mastermind Bruce Reynolds, had some of his ashes scattered in the Valley of The Kings in Egypt. Reynolds had been responsible for masterminding the 1963 Great Train Robbery which was the robbery of a royal mail train which lead to the robbers getting away with over 2.6 million GBP, which would be the equivalent of 48 million today. David Colon had told his family that he didn’t want a traditional casket. So, when he passed suddenly in April, the funeral home organized for Mr. Colon’s body to be dressed in biking gear and placed on top of his motorcycle while his family and friends paid their respects during his wake. As a final send-off to the man who played Scotty on the original Star Trek series, James Doohan was sent into space according to his last wishes. The ashes of Doohan, were put into a capsule and fired off on a rocket out into space by a private company. The gonzo writer Hunter S. Thompson, most famous for his book, Fear And Loathing In Las Vegas was shot out of a cannon as part of his last wishes. Talk about going out with a bang. In February of 2014 mourners of Christopher Amaro, found him at his wake posed in the corner of a makeshift boxing ring. Amaro’s family wanted to do something that commemorated his love for boxing, so they posed him as such. However you choose to honor the memory of your loved one, there is no wrong way to. Why some memorials might be more eccentric than others, it doesn’t mean it wasn’t done without love and compassion for the one who has passed. We all know the pain of losing a loved one. When they pass, their memory lives with us, but we still want to celebrate the person and honor their memory. There are many options to choose from when deciding how best to celebrate your loved one’s memory. One such option that people sometimes choose is to scatter the ashes at sea. Numerous boat captains perform these services, and they are as unique as the individual who the ceremony is honoring. Services for sea scatterings can vary immensely, some include clergy-led prayer or can even be as simple as mourners recalling favorite memories of the person who has passed. For those thinking of doing a scattering at sea, there are a few things that you must think of logistically to make sure that the ceremony goes smoothly. Firstly, usually you cannot simply dump the ashes, even though most is a sand like substance, the finer particles will blow back on to the boat and can cling to the boat or get on the passengers. A simple container that is biodegradable or water soluble should be used. Memorial Gallery carries several different lines of scattering urns, and even more specifically, carries those meant for scattering at sea. Additionally, most scattering services allow you to scatter flowers or petals, meant as a sign of love for the departed along with the ashes. Finally, with scattering at sea, you are going to have to find out what the occupational limit is for the boat. While scattering at sea is a beautiful and touching memorial, it does not allow for many people to bear witness for the funeral. However, if you’re looking for something more intimate and private, a scattering at sea is the perfect answer for those needs. Death is one of life’s most difficult realities. We all have lost loved ones, so we know that it’s a very painful and emotional experience. During this time, empathy and patience is tantamount. At Memorial Gallery, it is our honor and privilege to assist you and your family during this difficult time. Your complete satisfaction is our goal. If you’re curious about our products or would like us to help you can always reach us at our website or by calling us at 1-877-996-URNS. For those of us who want to scatter the remains, but want to still keep some back as a memento of those we’ve lost, there are other options other than the traditional urn. While thumbprint jewelry and other memorial jewelry exist, for those who want something a little more subtle, there are memorial gems and crystals. This unique jewelry allows you to create a beautiful memorial of your loved one. This style of cremation jewelry will instantly become an heirloom for generations to come. This option is becoming more and more popular among memorial options by creating a one of a kind memorial of the loved one who has passed. Cremation gems are lab grown and include the ashes in the process. All sorts of crystals and gemstones can be made this way, including diamonds! While a more expensive option, there is no doubt that it is an extremely unique option to memorialize someone. Additionally, creating a cremation diamond is a long process and can take upwards to a year to create. Unlike memorial diamonds, the crystals are made by infusing a combination of glass with the ashes, and while it makes a crystal that is softer than diamond, they do normally hold up extremely well, thus letting the memorial jewelry become an heirloom if you so choose. When working with a funeral director who offers this service, each piece is created by hand and is given a personal touch with your specifications in mind. Whether you go with a piece of cremation jewelry to have a subtle memorial option for your loved one or you go with the more traditional memorial urn or scattering, Memorial Gallery is honored to serve your family.